If you would like to be involved in our Fall 2016 Peer Review process, please let us know as soon as possible! Here are the instructions detailing what you need to do to get involved: peer-review-instructions-2016. Please note, you will be credited in the final publication of the journal as a peer reviewer if you participate in the process! Deadline Extension — Monday, November 14th at 11:59 PM! Thank you to everyone who has submitted to Re:Search thus far! In an effort to give more students the opportunity to submit to us, we have decided to grant a one-week extension on the deadline for proposal submissions. The new deadline for submissions is Monday, Nov. 14th, 2016 at 11:59 PM. Please see our submission instructions below, and note that there is one step that requires you to email us at uiuclitjournal@gmail.com in order for one of us to register you with our journal on the online Open Journals System. As a reminder, students from any major can apply, as long as the proposal adheres to the stipulations outlined in our Aims & Scope. While not all proposals are required to focus on literature, we do require that your proposed project integrate textual analysis in some manner. Feel free to email us (uiuclitjournal@gmail.com) with any questions regarding your eligibility to submit! 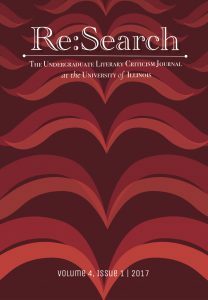 Re:Search, the Undergraduate Literary Criticism Journal at the University of Illinois, is seeking submissions for its Spring 2017 publication! Read our full Call for Proposals here. 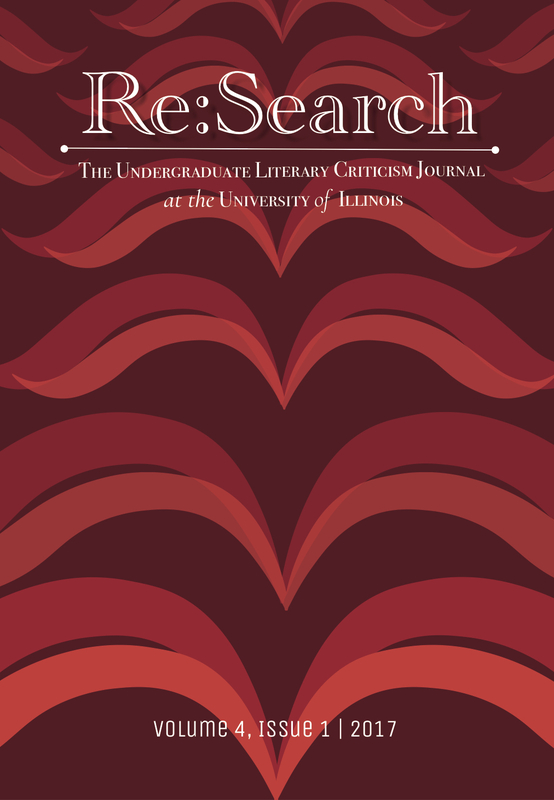 Students currently enrolled as undergraduates at the University of Illinois Urbana-Champaign from any discipline or major may submit to Re:Search as long as the submissions are in accordance with our vision of the journal as a site of critical analysis. We encourage students to submit literary, media, or cultural criticism. We accept revisions of papers written previously for a class, current or completed honors theses, and even projects conceived outside the classroom. 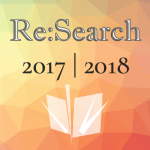 Students who wish to be published in Re:Search will need to submit a 3-5 page proposal by 11:59 p.m. on Monday, November 7th, 2016. DO NOT EMAIL US YOUR PROPOSALS! Please submit them through the Online Journal System (OJS). We will post instructions on how to navigate this system before the end of October, but we will also host a workshop to get as many interested authors set up in the system as possible. Keep an eye out for our upcoming proposal workshops, which we will hold in October! Please email uiuclitjournal@gmail.com with any questions about submitting to the journal or other opportunities for involvement. Please check out the sample proposals included under the “Resources” tab for examples of what your proposal should resemble! It’s Time for Peer Review! We are looking for enthusiastic students that are comfortable providing constructive criticism to their peers. You will be working with the Online Journal System (OJS) to anonymously submit comments and help us determine which paper proposals will make it into our publication.You will become the authority on developing a clear central research question, checking for the quality and originality of the proposed project, determining the potential impact of their scholarship, and checking if the scope of the project is achievable with the resources the author is considering. Please come to our Peer Review Workshop on November 16th at 4 PM in 1028 Lincoln Hall! We will cover your peer reviewing responsibilities, look at a sample proposal, train you in OJS, and send you home with your officially assigned proposal to review and return before fall break. Please bring your laptops! THERE WILL BE FREE JIMMY JOHN’S!